Los Abrigados is one of the most beautiful golf communities in Scottsdale, Arizona. It is located off of Indian Bend Road just east of Hayden Road. 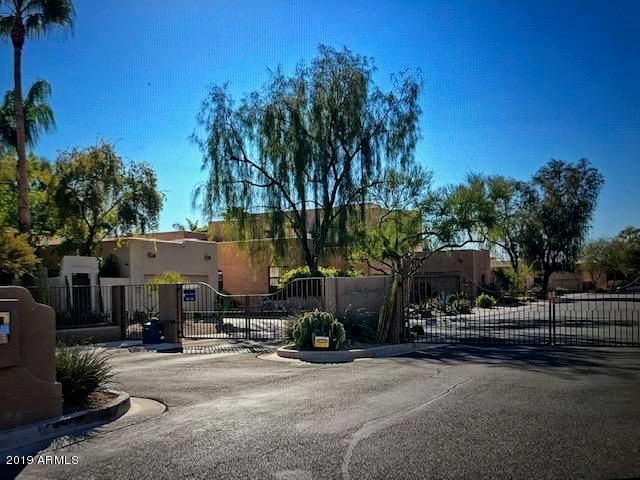 This stunning gated community features 70 southwestern style homes with amazing views of Silverado golf course and Camelback Mountain. Residents enjoy the beautiful community pool and spa. Silverado Golf Course is right next to the community. It is a public golf course. With its Par 70, 18-hole championship layout, Scottsdale Silverado offers golfers a challenging and enjoyable golf experience with breathtaking views that include desert landscape with elevated tee boxes. Designed by Gilmore-Graves Architectural Design Company in 2000, Silverado has quickly become Scottsdale’s most popular 18-hole golf course. Please search for Los Abrigados Homes for Sale by clicking the link above or button below. Los Abrigados is about 15 miles from Phoenix Sky Harbor International Airport, and only a couple of minutes from major freeways. This excellent location provides homeowners easy access to a host of shopping and dining opportunities. Fashion Square is only 15 minutes away with some of the finest stores such as Neiman Marcus and Nordstrom, along with European designer boutiques. It is only three minutes from the new Diamondbacks Spring Training Stadium. Whether you are buying or selling a home in Scottsdale, The Holm Group is here to assist you. The Holm Group represents both buyers and sellers throughout Los Abrigados and surrounding communities. Whether it’s a custom home, luxury home, single family home or town home you can rely on The Holm Group to ensure a smooth and successful transaction. Remove the stress from buying or selling and let The Holm Group assist you today. Let The Holm Group Help You Sell or Find Your Next Los Abrigados, AZ Home.